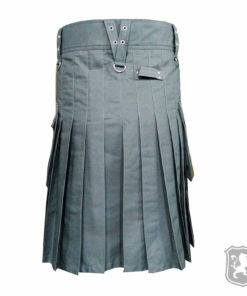 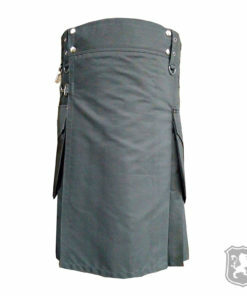 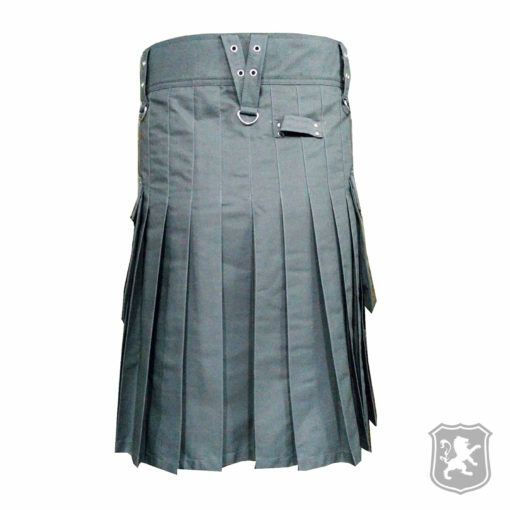 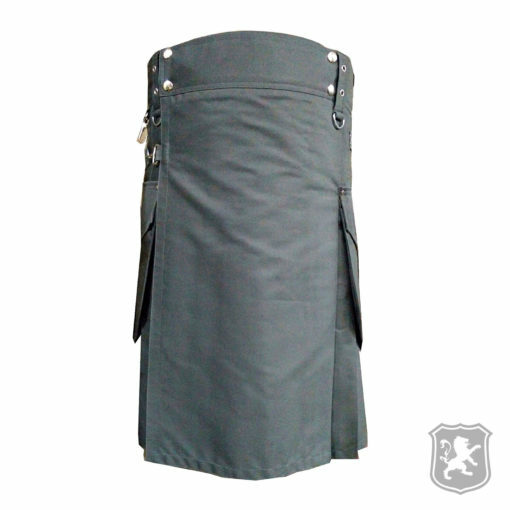 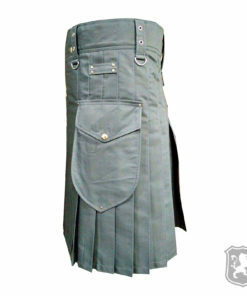 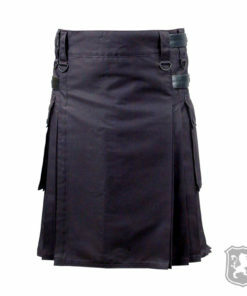 The Grey Utility Kilt With Flap Pockets is another great addition to our utility kilts catalogue. 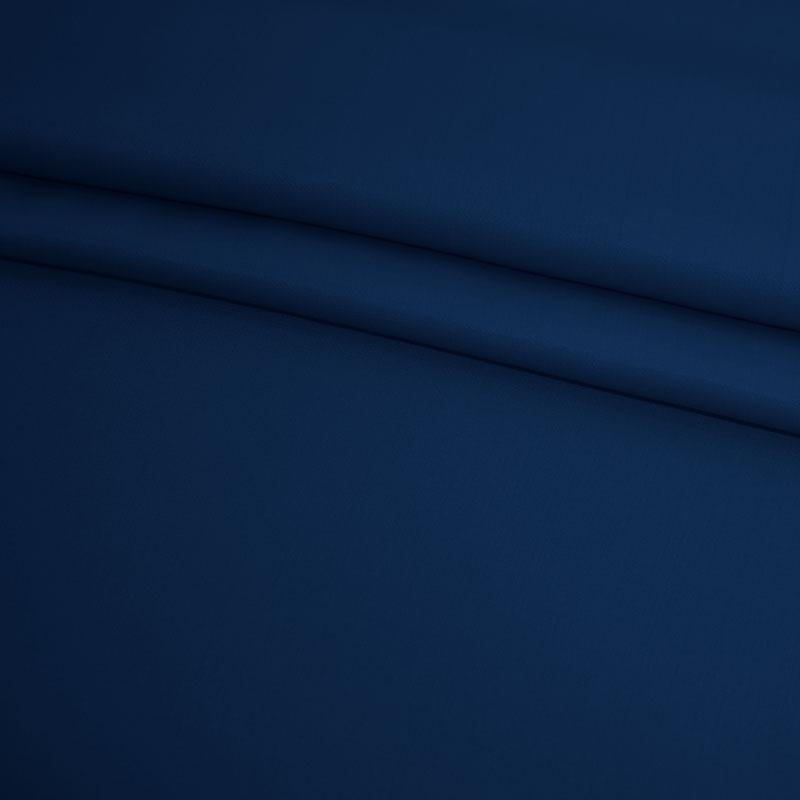 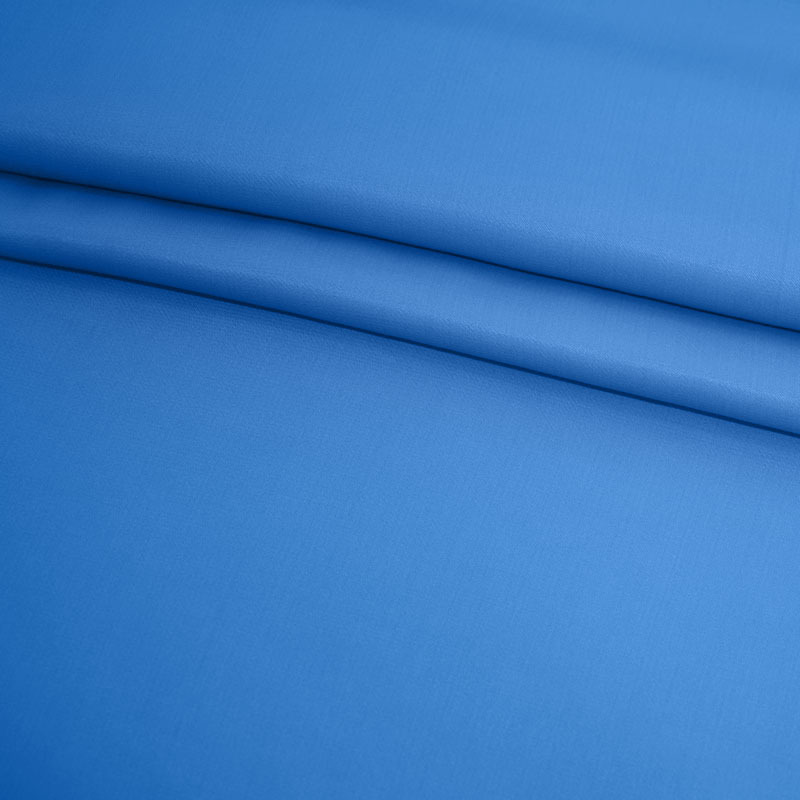 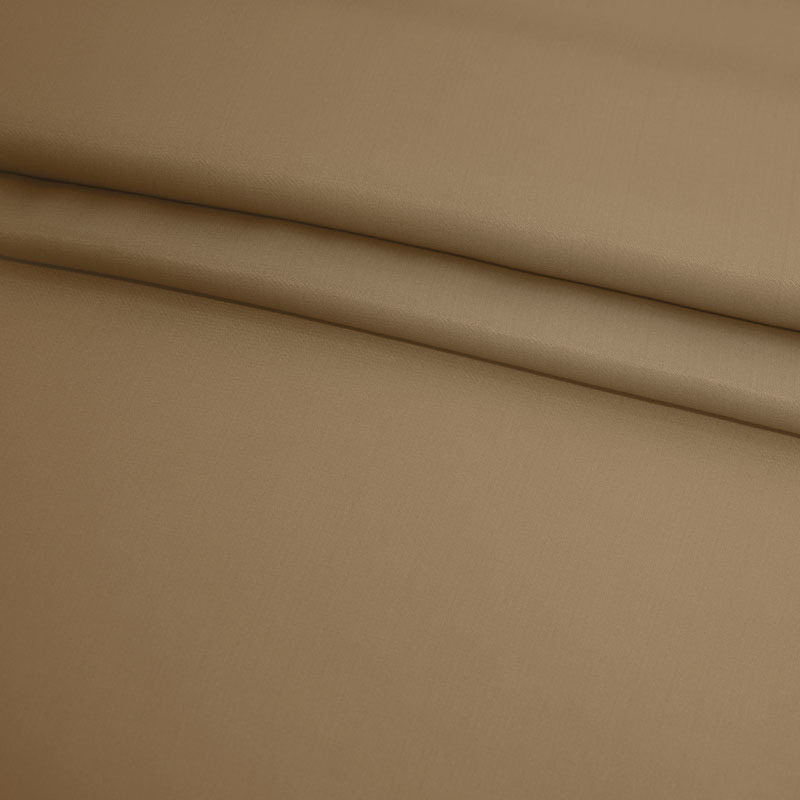 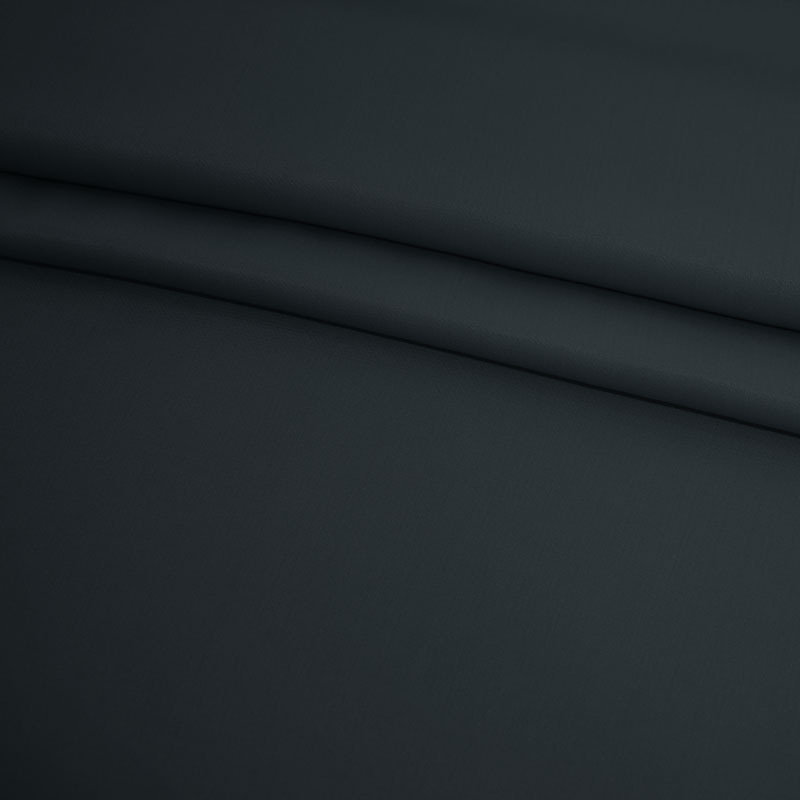 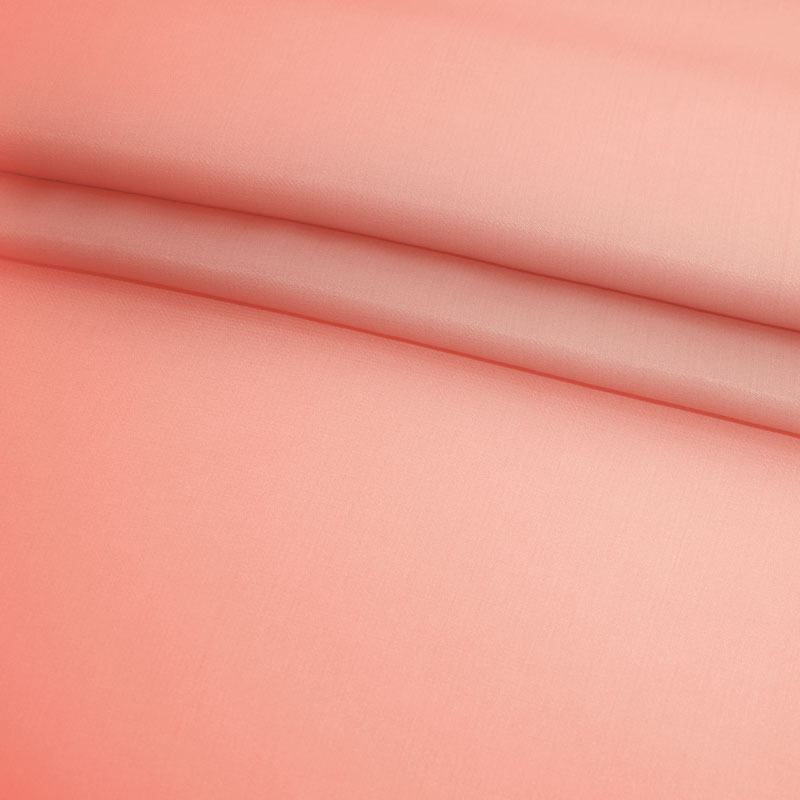 We’ve used a very high quality material that is very durable and doesn’t gets wrinkles easily. 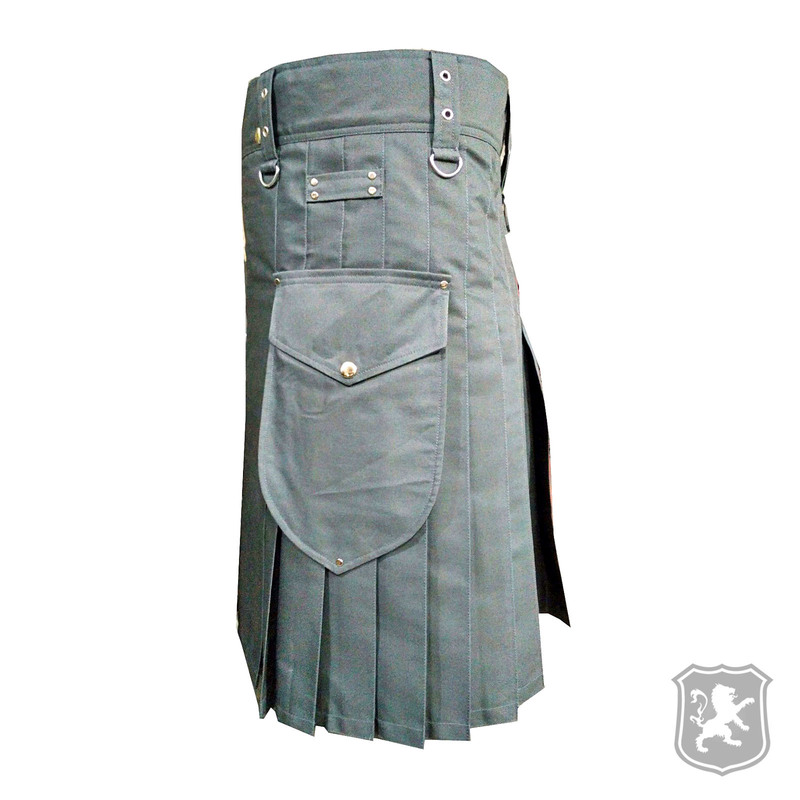 So you can wear this kilt without worrying about anything. 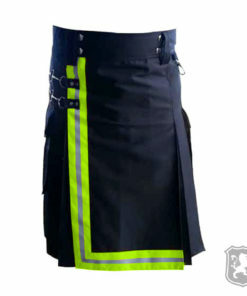 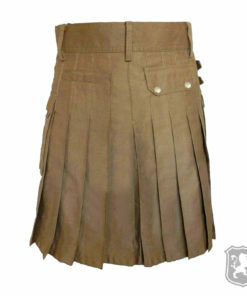 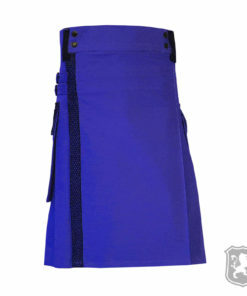 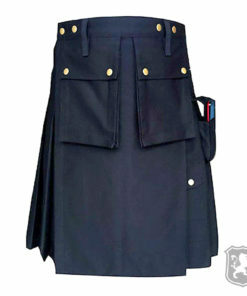 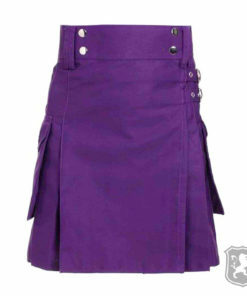 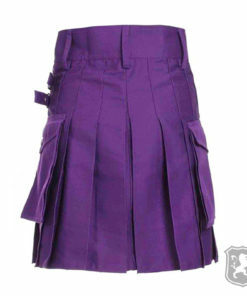 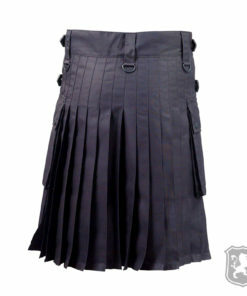 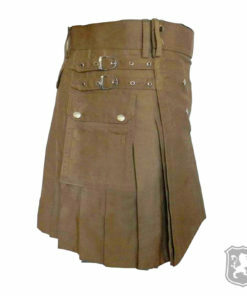 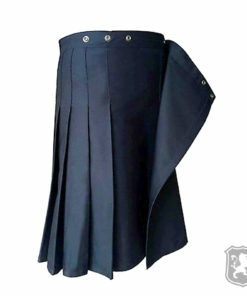 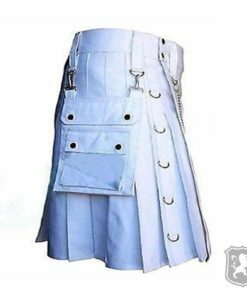 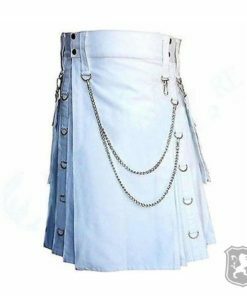 On the front, the kilt is simple and plain with some decorative buttons that compliments the kilt. 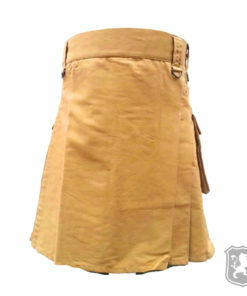 On the side, you will see two large flap pockets with decorative metal buttons on them. 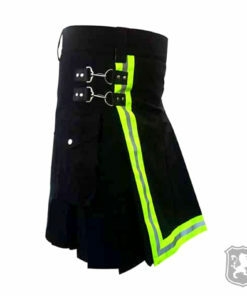 You will also see two chrome holes on the belt holders side that are added only for decorative purposes. 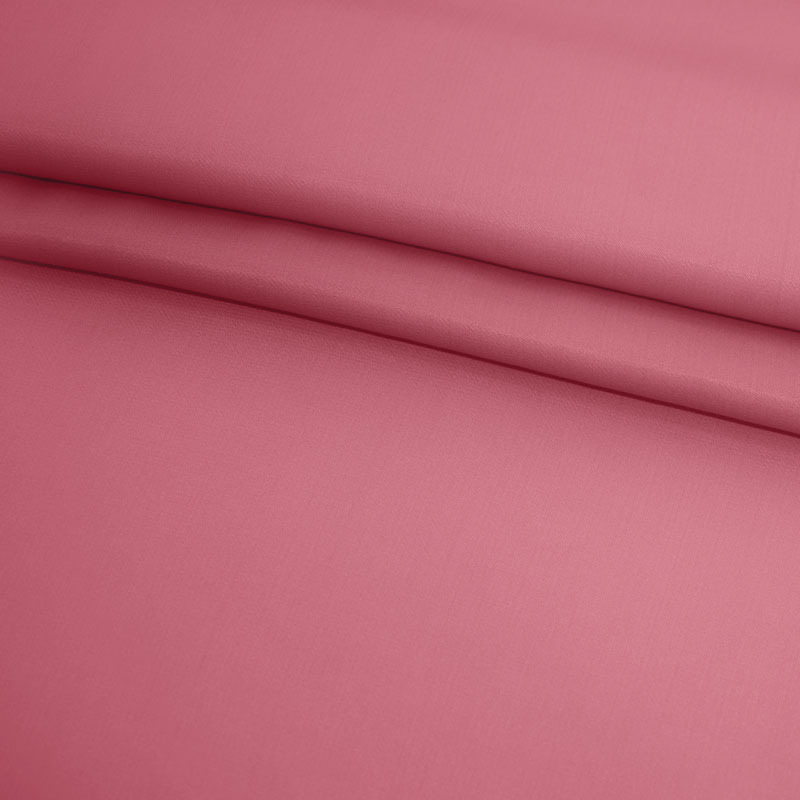 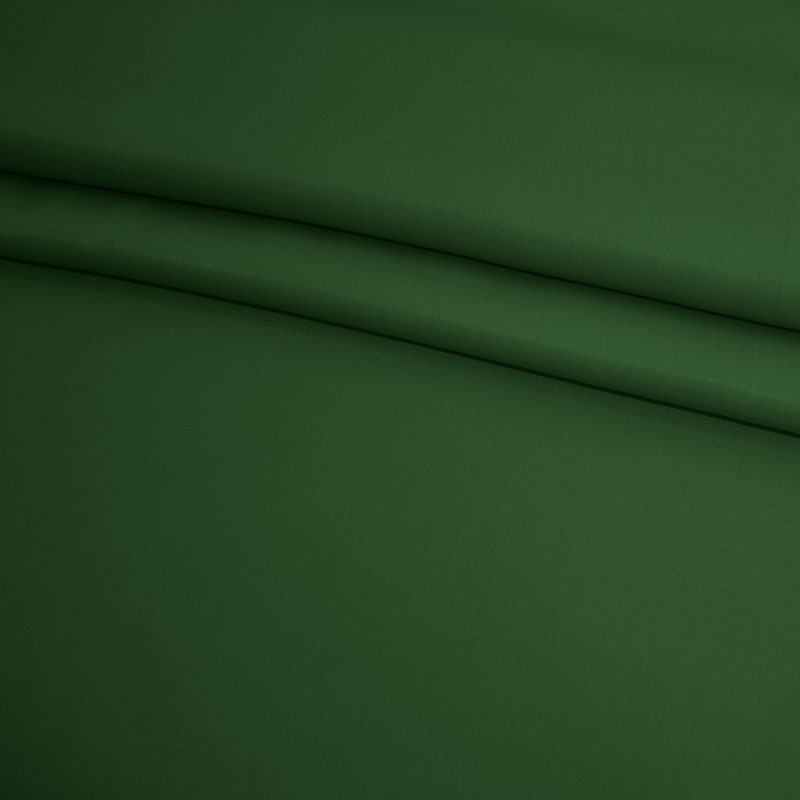 The pleats are sewn at around 2.5 inches deep but it can be fully customizable according to the requirements of our customers. 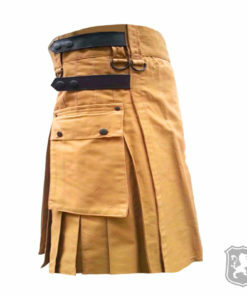 Great utility kilt. 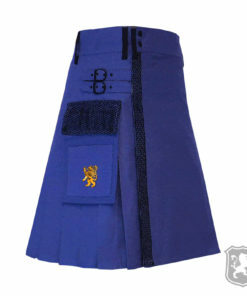 My husband loves it. Thank you very much.